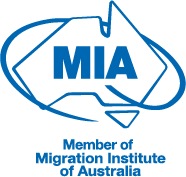 The Australian Federal Circuit Court can review migration decisions made by the Minister for Immigration and Border Protection, the Administrative Appeals Tribunal (AAT), and the Immigration Assessment Authority. However, the Court can only review certain technical decisions, and it cannot consider the merits of your application, or whether you should or should not be granted a visa. the decision was irrational or illogical. Generally, you only have 35 days from the date of the relevant decision to apply for a judicial review. If you wish to appeal, it's important to comply with this time frame, or you could lose your right of appeal. To seek an appeal, you'll be required to complete the complex legal paperwork, which must include an identification of the error of law you think has been made, and must set out the orders you want the Court to make. You'll also be required to complete an affidavit, which is a sworn statement that supports your application, and which usually includes any evidence you wish the Court to consider. Understanding whether the Court may be able to hear your case, and running a legal case, is a complex process, particularly if you are trying to do so from South Africa. Pathway's experienced Australian lawyers are well positioned to provide quality and cost-effective legal assistance if you wish to appeal your visa refusal to the Court. What Happens If You're Successful? return your matter to the decision-maker, who will be required to make the decision again, and in accordance with Australian law.